Charlotte’s View is located northwest of Wasilla off Seldon Road (In between Lucille & Church Street). Many of these custom homes feature bluff lots for spectacular views of the Hatchers Pass Mountain Range. If you are looking for a new construction home in Wasilla there are only a few lots remaining, reserve yours soon. If you are looking for a home for sale in the Charlotte’s View we have all homes for sale in this area featured on Alaska MLS from ALL the Real Estate Companies. 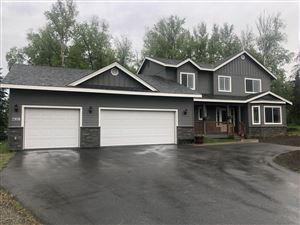 If you are looking for a New Construction Home in the Wasilla area call/text 907-440-4661 for availability of lots and pricing information.